Every time I read a headline like “IBM Ends Remote Work” I do two things. First, I dig deeper to find out what’s really happening. Usually, it’s not that “remote work” is ending. It’s that a specific formal policy has been discontinued or scaled back. In the case of IBM, it was a full-time work-from-home policy. The second thing I do is smile, because the death of a one-size-fits-all, rules-based approach to work flexibility can create the opportunity for a high performance flexible work culture to thrive. It starts when an organization, like IBM, realizes that their flexible work arrangement policies are inherently inflexible. They aren’t nimble enough to adjust to the changing needs of the business. You have to throw the baby out with the bathwater–either work remotely the way the rules are written, or you can’t. The problem is that even if you bring #remoteworkers back to the office, the strategic imperative to support flexible work remains. For example, a recent global study found that employees rank the ability to work flexibly as a top, if not the top, priority when choosing an employer. In other words, if you want good people, you better give them some degree of flexibility in the way they do their jobs and manage their lives. How “remote work” is defined: In a high performance flexible work culture, remote work doesn’t standalone. 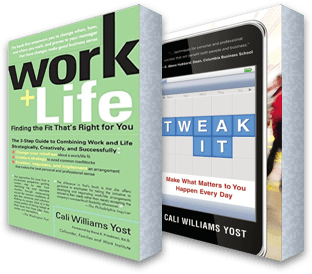 It’s just one way to work flexibly (either formally, or informally day-to-day) based upon what needs to get done at work or in life most productively. Additionally, remote work is more than “work at home.” It can be a coffee shop, library or even another corporate site or workspace lounge. How work flexibility is implemented: A high performance flexible work culture, of which remote work is a part, is built on a foundation of principles, not rigid, policy-based rules. These principles are translated into action with a set of mindset shifts and behavior changes. These “think/do” guardrails keep everyone headed in the same direction but are broad enough to allow the work flexibility to adapt to the realities of a particular business. How the use of work flexibility is “recalibrated”: One of the core principles of a high performance flexible work culture is “recalibrate as needed.” When business realities change, individual employees, teams and leaders know they have to work together to adjust the use of work flexibility, technology, and workspaces to close any gaps. Using the common set of guardrails as a guide, adjustments are strategic, targeted and tailored to what a specific job or group requires to remain competitive and effective. One-size-doesn’t-fit-all. Yes, when a company like IBM discontinues its formal full-time remote work policy, it’s natural to step back and wonder, “What does this mean for the future of remote work overall?” But contrary to recent headlines, work flexibility, including remote work, isn’t going away. It’s just experiencing growing pains as it matures into a core business strategy…where it belongs.